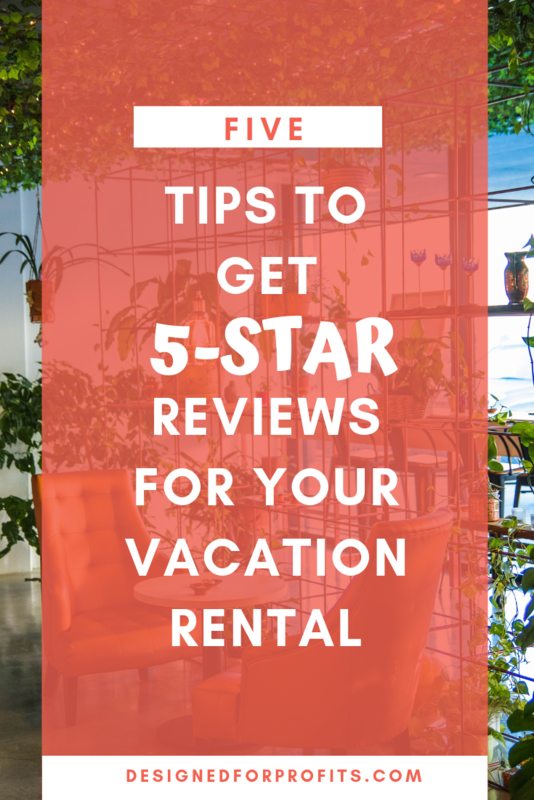 As you know competition is high when it comes to vacation rental listings so aside from stunning photos of your beautiful rental, what helps put you on top are reviews. Below are 5 must-do/have that will get you there. If the way to a man’s heart is through his stomach then the way to amazing reviews is through your guests. Wow them by having the fridge stocked with basics and some extras. Milk, eggs, bread, butter, bacon, bottled water, sodas, cookie dough, or fresh fruit are just some examples. You might be worried at the extra cost but it could mean the difference between higher reviews and more bookings. Be sure to check out our Designed for Profit – Premium Pantry List. Save your guests the hassle and provide equipment they may need for outdoor activities. For example if your rental is near a beach location having a beach bag stocked with towels and sunscreen will be super handy and AWESOME! or if your at a skiing resort some snow goggles or warm hats/gloves or scarves to accommodate your guest capacity. Imagine your guest has been traveling for hours, their phone is about to die and they get to their travel destination only to realize they forgot their universal adapter or phone charger. This is where being the awesome host that you are comes in and your rental has these on hand for your guests. Be sure to mark your equipment with your name or property address to deter people from stealing or accidentally taking it with them. Give your guests the peace of mind of not losing keys by having your door lock with Lockitron. This genius gadget attaches to your existing lock and allows your visitors to remotely lock and unlock the door using their cellphone. You can change the code between each guest and receive alerts when the door is left unlocked. Give your guests a luxury bathroom experience by providing all the things they would find in a hotel such as a hairdryer, heated drying rack (if you’re in a cold location), monogrammed towels if you want to get super fancy and a beautiful tray with bathroom essentials such as shampoo, conditioner and body soap. I’d love to hear from you! What do you do to stand out from the competition? Let me know in the comments below.